UPDATE: It was recently reported by the Indian entertainment website, Pinkvilla that Fawad Khan will be appearing with Deepika Padukone as her husband in the upcoming movie Padmavati. 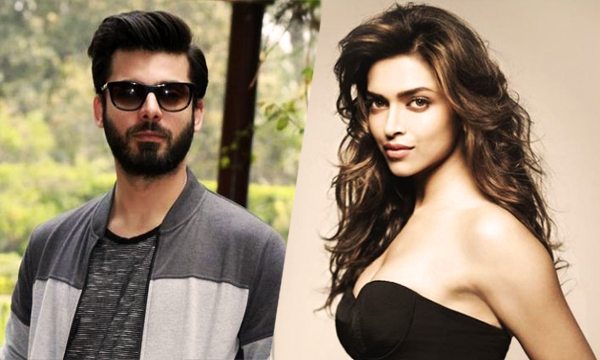 However, recent news update reveals that Fawad Khan will NOT be playing Deepika’s husband in the upcoming movie. Fawad Khan has been making headlines in the B-Town with his impressive efforts at wooing Deepika Padukone at the IIFA Awards as well as both walking the ramp for the Indian designer Manish Malhotra as his show stoppers. “Fawad is extremely busy with other projects in Pakistan. Also, he has signed a three-film deal with Karan Johar’s Dharma Productions. So obviously the actor cannot break this and work with any other director. So there is no chance of him signing Bhansali’s Padmavatiemphasized text,” a source close to Fawad told the Indian website, PINKVILLA. Previously, a source close to Fawad Khan said that it was a big offer for Fawad Khan to let go. The Padmavati movie has been based on the life of Rani of Chittor played by Deepika Padukone. She has an obsessive lover Alauddin Khilji played by Ranveer Singh. The role of Rani’s husband is of a less smart man and that role is causing a lot of problems in casting. Actors like Hrithik Roshan, Shah Rukh Khan, and Shahid Kapoor have been approached for the role before but they all rejected it. The film is being produced by the legendary Sanjay Leela Bhansali. Ranveer Singh will be essaying the character of Alauddin Khilji whereas the role of Padmavti’s husband took quite a while since actors such as Shahid Kapoor, Hrithik Roshan, and Shahrukh Khan were asked to play the part yet to no avail. Let’s see how this historical fantasy works out for Fawad Khan. Seems like the Pakistani heartthrob does not know how to stay idle- the singer and actor is up to something even more exciting for GQ. Seems like the hottie will be singing and playing the drums together. Cannot wait to find out what he is up to now! Previous articleAmerican Fast-Food Chain Heff’s Burger to Launch in Pakistan Soon!